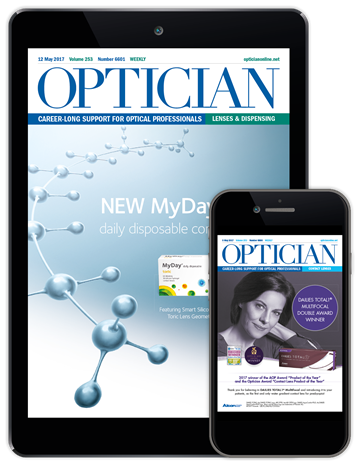 Since 1891, Optician has been the independent information source for optometrists and dispensing opticians, publishing the latest news and analysis from across the industry. 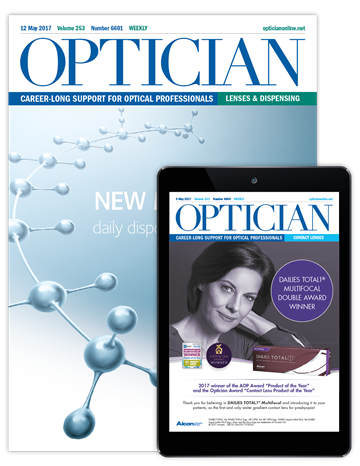 It shares an extensive range of high-quality clinical, business and technology articles, professional and management advice, and insights into the latest frames, lenses, styles and fashions. Optician also provides comprehensive CET support - including interactive modules - covering all practical skills laid down by the GOC, through a unique and unrivalled distance-learning platform. Your subscription could be tax deductible. As CET is a condition of continued registration, self-employed professionals and practice owners are able to claim tax relief on a subscription to Optician, by claiming the cost against their income. Also, qualified optometrists qualify for the NHS Grant for CET. 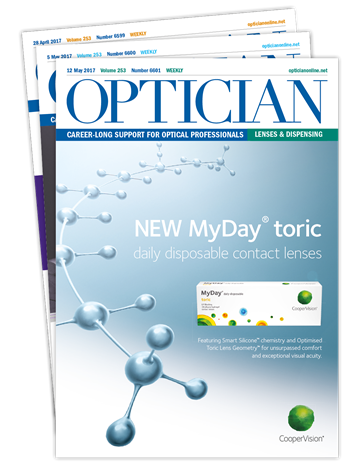 Why not use your grant to pay for an Optician subscription, and access our CET platform?